About: Dr. Han teaches communication theory, research methods, and technology and health. Research foci include health communication and technology, new media effects, and research methods and design. Han’s research mainly concerns the design and evaluation of interactive health communication campaigns, the benefits of online social support groups for cancer and other health related cognitions and behaviors, and statistical methods and research design. Han has developed programs of research on (a) antecedents and consequences of engagement with various eHealth initiatives, particularly focusing on theory and measurement development, (b) transaction logfile analysis, a unique method to probe interaction between computer and human, and (c) message expression and reception effects, particularly within online social media tools. Articles presenting this work appear in leading communication, psychology, and public health journals: Computers in Human Behavior, Health Communication, Health Education Research, International Journal of Medical Informatics, Journal of Broadcasting & Electronic Media, Journal of Communication, Journal of Computer-Mediated Communication, Journal of Health Communication, Journal of Health Psychology, Mass Communication and Society, Patient Education and Counseling, Psycho-Oncology, and Translational Behavioral Medicine. What You Believe Might Not Be True: False Consensus Effect and the Flu Vaccine Controversy. 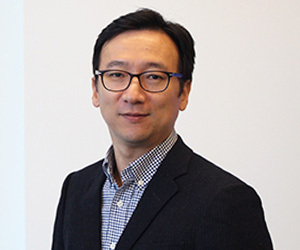 Jeong-Yeob Han, Hanyoung Kim & Youngji Seo Paper to be presented to Mass Communication Division of the International Communication Association Annual Conference, Washington, D.C. Effects of Social Media Comments on Attitude toward Vaccines: The Roles of Perceived Public Consensus and Perceived Vaccine Efficacy Jeong-Yeob Han and Hanyoung Kim Paper to be presented to the Health Communication Division of the International Communication Association Annual Conference, Washington, D.C.
Han’s areas of specializations are health communication and technology, communication theory, and research methods and design. He teaches courses in the Telecommunications Department and the New Media Institute. His courses include Tele3410, Media Research and Theory; Tele4290, Digital Media Production; NMIX4110, New Media Production; JRMC8010 Research Methodology in Mass Communication Research.